Wedding details. 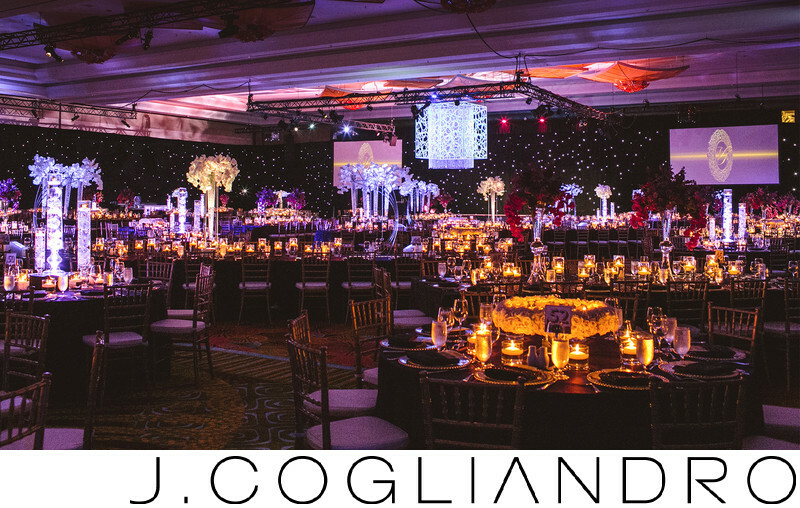 Our goal as a team is to capture the beautiful decor that showcases both the couples unique personality but also the amazing creations that artists who decorate such beautiful venues produce. Our goal is often to capture the venue as it is actually seen by guests who attend so that our clients can see what their friends and family experienced. This is particularly a big deal when there is so much to photograph in a huge South Asian event such as this one we shot at the Hyatt Regency in Orlando Florida in 2014. Location: Grand Hyatt, Orlando, Florida.